In 1977, John and Eunice were admitted to the hospital in Cleveland, Ohio, in the throes of acute liver failure after ingesting deadly poisonous amanita mushrooms. Liver transplants were not common at that time, and death was inevitable. The chief of medicine assigned their case to Burton Berkson, MD, a medical resident at Case Western Reserve who had never had a patient die under his care, and the chief felt he needed the experience. Although his instructions were clear—observe and report on these deaths—Dr. Berkson contacted Fred Bartter, MD, at the National Institutes of Health (NIH) and asked if he knew anything that might be helpful. Dr. Bartter mentioned alpha lipoic acid (ALA), citing animal studies showing that it helped with severe liver damage, and offered to overnight several vials. The next day, Dr. Berkson began administering intravenous alpha lipoic acid to these patients. Its effect was miraculous. Alpha lipoic acid stimulated rapid liver regeneration, and within two weeks, they were discharged from the hospital in good health. John and Eunice lived for 36 more years, well into their late 80s, forever indebted to Dr. Berkson and this incredible nutrient for liver disease. Yet when other patients arrived at the hospital in similarly dire liver failure, he couldn’t just stand by and let them die. Against hospital mandates, he again used alpha lipoic acid—and again the patients recovered. Because of his insubordination, Dr. Berkson was accused of harming patients. The hospital went so far as to alter records in their attempts to besmirch him, and he eventually left Case Western and opened a private practice, where he continues to save patients with this remarkable nutrient for liver disease. With the support of Dr. Bartter and his influence at NIH, Dr. Berkson continued his work with alpha lipoic acid, and the two physicians conducted a study of intravenous alpha lipoic acid for severe liver failure. Of the 79 patients who were treated—patients who would have undergone liver transplants or died—75 survived. Of the four who did not, two never received the therapy and the other two didn’t get the recommended dose. Dr. Berkson also developed an oral protocol, “triple therapy,” which we’ve been using at Whitaker Wellness for years to treat hepatitis, fatty liver disease, cirrhosis, and elevated liver enzymes. This combination of alpha lipoic acid, silymarin (from milk thistle), and selenium replenishes glutathione stores, promotes liver cell regeneration, and puts the brakes on viral replication. One of our patients, a schoolteacher with a very high hepatitis C viral load, came to us as a last resort before beginning interferon. We started him on triple therapy and his viral count plummeted—without prescription drugs. Whenever I see virulent opposition to an unconventional approach, I am usually convinced that the approach works—and likely works very well. The animosity Dr. Berkson encountered is, in my opinion, testimony to the value of intravenous alpha lipoic acid. Although this treatment could save lives, it is ignored because it is an inexpensive natural compound with a broad range of clinical uses. Prescription drugs usually get approved for the treatment of one disease or indication. Alpha lipoic acid is also an exceptionally effective therapy for diabetic complications such as neuropathy, cardiovascular disease, and neurodegenerative diseases. In the profit-driven world of patented drugs, this works to its disadvantage. And because alpha lipoic acid is unlikely to get picked up by a pharmaceutical company, it will never gain a toehold in hospitals and teaching institutions. If you or a family member is hospitalized with acute liver failure, you’re not going to be told about alpha lipoic acid. Nor will you hear about it from the physician managing your liver disease, neuropathy, etc.—even though it’s clearly superior to what they have to offer. Here at the clinic, we can help our stroke and trauma patients regain function with hyperbaric oxygen. We can use intravenous therapies to remove toxic metals from the body, boost the immune system, and replenish antioxidant stores. We can relieve acute and chronic pain with microcurrent, high-intensity laser, and prolotherapy, and help patients overcome anxiety and insomnia with neurofeedback. None of these therapies would be acceptable in hospitals or large group medical practices. That’s why physicians like Dr. Berkson and me stepped outside this confining, irrational system decades ago. 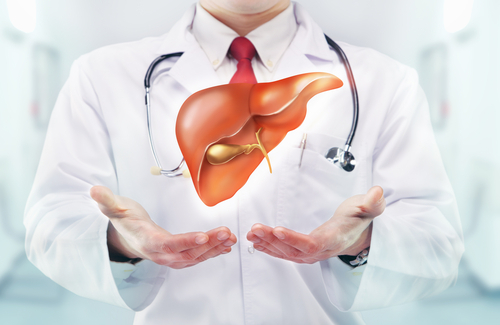 Learn more about alpha lipoic acid as well as other nutrients for liver disease here. For information on receiving alpha lipoic acid treatment at the Whitaker Wellness Institute, call (866) 944-8253. 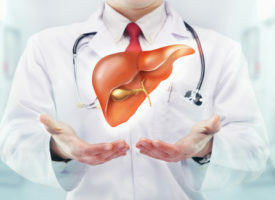 Triple therapy for liver disorders consists of alpha lipoic acid 600 mg, silymarin (milk thistle extract) 900 mg, and selenium 400 mcg, taken daily in divided doses.